Samsung Galaxy S4 was revealed on 14 March at an unpack even by Samsung and it was pretty much a success. The specifications for the Galaxy S4 are certainly first class. The Galaxy S4 is a true power device if you ask me. So, if you put the Samsung Galaxy S4 and the HTC One head to head, you will immediately see that the S4 is slightly better than the HTC One at almost everything. The CPU is more powerful, the battery is larger, the screen is top class and also the newly added features are hitting the spot. 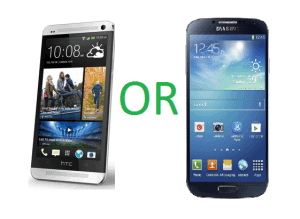 So why should you buy the HTC One over the Galaxy S4? Is there any reason to do this? Well in my opinion there is. The HTC One almost raises at Galaxy S4’s level so it is still a very good deal to buy one. But there are two reasons why HTC One is worth it over the Galaxy S4. Look how well HTC managed to combine the metal back with the bevelled metal edges and the edge-to-edge screen. This is a top class design and I bet it feels gorgeous in your hand. This is nowhere near what Samsung did with the Galaxy S4. They kept that same plastic case with the rounded edges, same as in the S3, and it just feels cheap in your hand. In stead the HTC One curved back really adds to the comfort of holding the device. Of course combined with the Full HD 1080p screen, this phone is a real beauty. 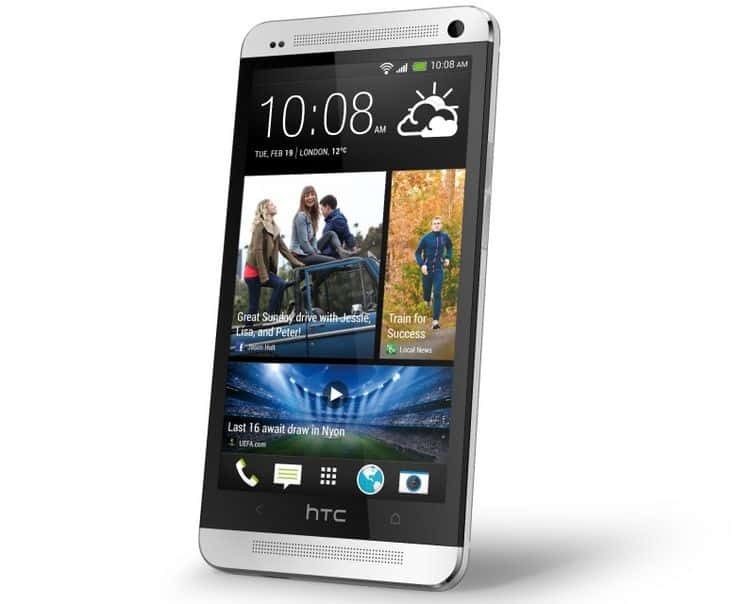 So if you care about design and materials used on your new Smartphone, I thing HTC One is a definite choice for you. 2. The second reason why HTC One is better than Galaxy S4, is something HTC has in my opinion always been better at: User Interface. I think HTC really nailed it this time with their latest Sense UI. They redesigned the entire Android interface with their own tweaks and it worked. HTC One is all about beauty and class. 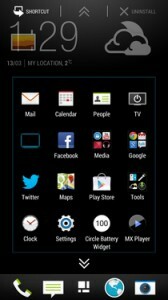 The interface allows you to choose from multiple lockscreens while customizing it for e-mailing, calendar entries, messages etc. HTC changed the entire button layout, they replaced the old widgets with geometric patterns, they made it simple and classy. HTC took simplicity and really integrated into their latest Sense UI despite lacking a bit in functionality, it’s still way more good looking and simpler than Samsung’s TouchWiz. So again, the two reasons why you should buy HTC One over Galaxy S4 are the amazing design and the classy and simple UI. There is also another issue that may turn you towards HTC, or any other competitor. It seems that Samsung Galaxy S4 is going to lose developers support due to the Exynos CPU and sources that are really hard to work with. However the Galaxy S4 also comes with the Snapdragon 600, same as HTC One, so this doesn’t really count as a reason. 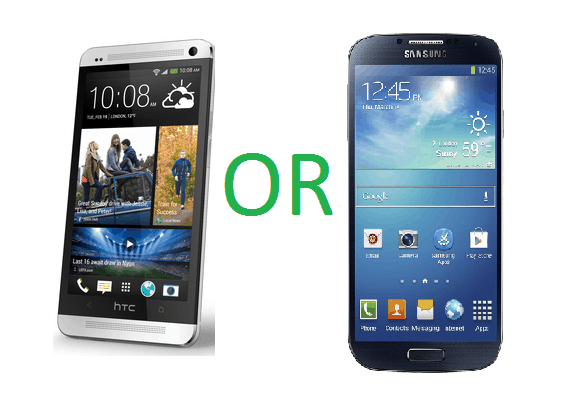 What would you buy: the Galaxy S4 or the HTC One?